NOTE: Designed for 6.00 x 16 inch and 7.00 x 16 inch tires, requires an inner tube. 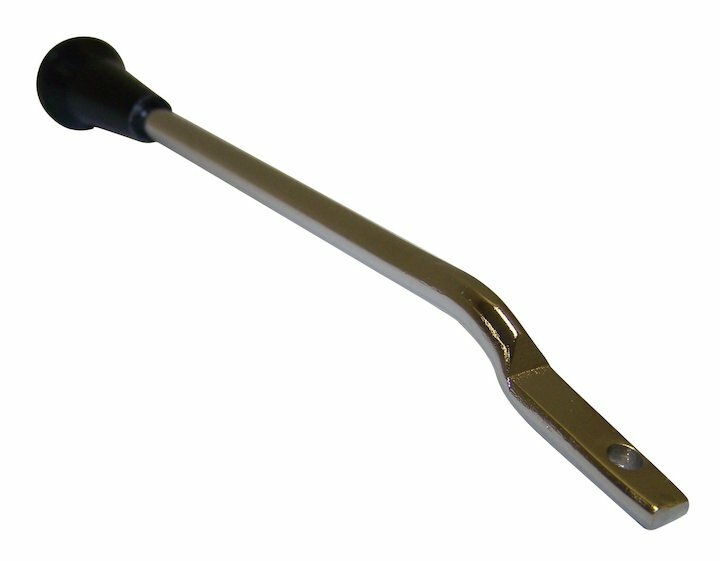 The wheel features a 60 degree lug taper, accepts a 16 x 6-inch tire and can be run with OR without a tube. 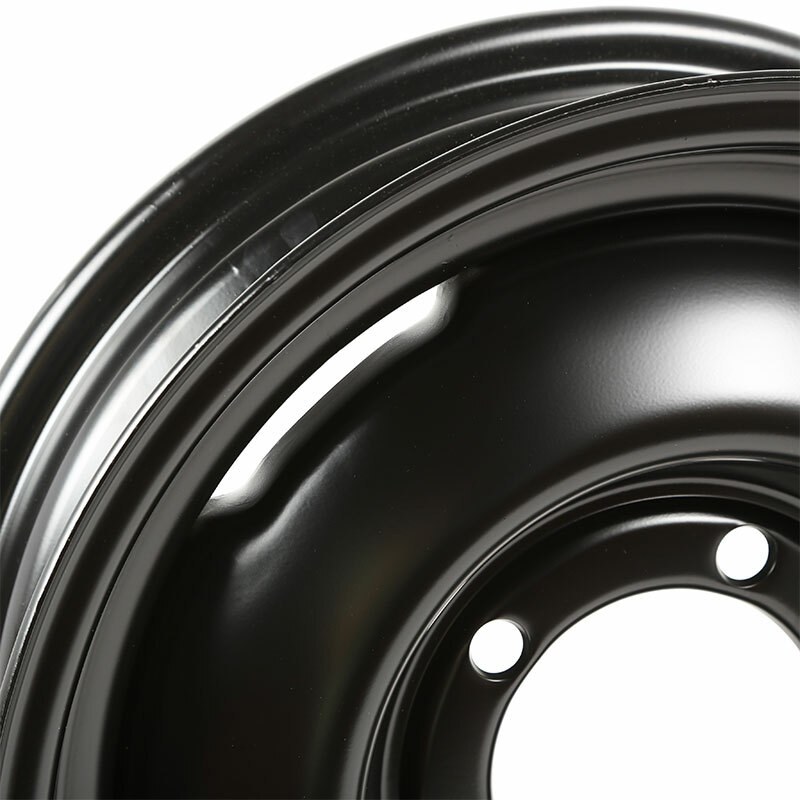 A durable low-gloss black finish gives a vintage look to your project. - 16 inch Steel Wheel. One Piece Civilian Style Jeep Wheel. 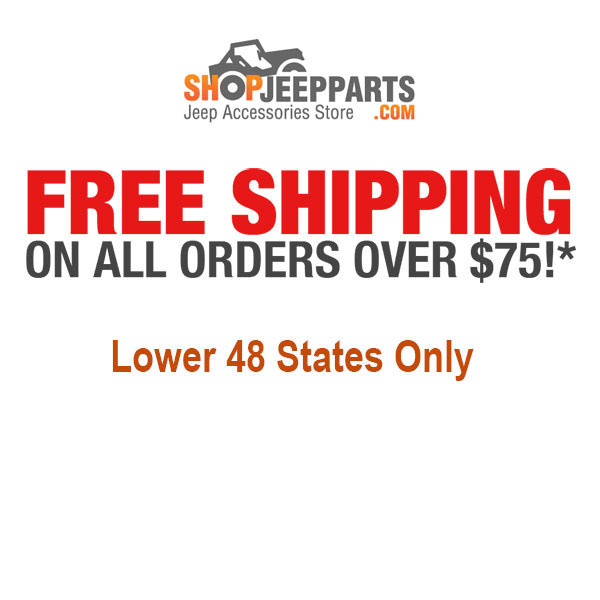 Looking for Jeep Willys Wheels or Willys Jeep Rims than this will be the part for you. On newer vehicles custom Jeep wheels and big tires are most common modifications, however for restoration projects sticking with the OE parts makes better sense. 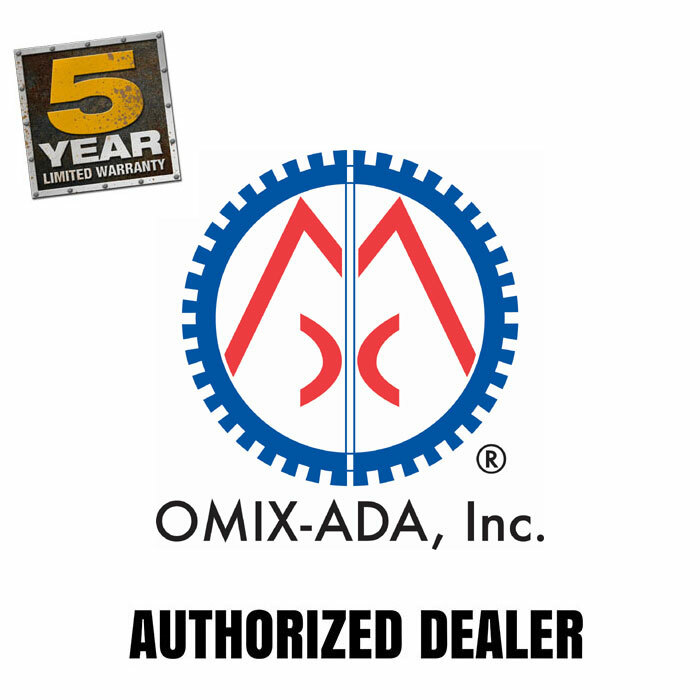 Omix-Ada specializes in Jeep only, and they take the time to make sure every replacement part will appear, fit and function exactly the same as original equipment. 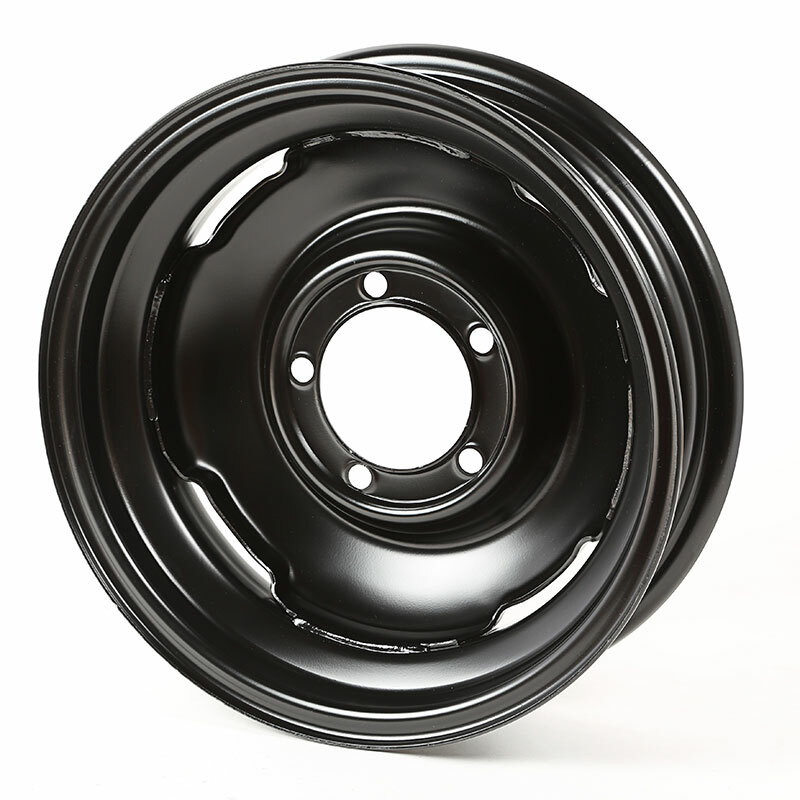 Their team is so confident that you'll be satisfied with these vintage Jeep wheels that they're covered by a 5-year limited warranty against defects in materials and workmanship. These Military wheels duplicate the original width, diameter and bolt pattern, and have the same appearance as the factory wheels that were installed when the vehicle was new.